And then there’s one more – a pdf book. Two history books, one engaging story about a great personal victory and one with invaluable life lessons intertwined with mythology. It’s a good mix of my favorite genres so naturally, I’m very excited about this collection. But time continues to be something that’s in short supply. With my parents leaving for India, my “me time” has taken a severe beating. However, reading and blogging are like lovers that don’t like casual flings. They demand commitment. I miss my parents sorely and to top that, M’s afternoon naps are getting shorter (some days she doesn’t nap at all, quelle horreur!). All this contributed to losing my blogging mojo and put me on the precipice of quitting. And then just in time, inspiration came, as it usually does..in an unexpected way – in the form of a movie. 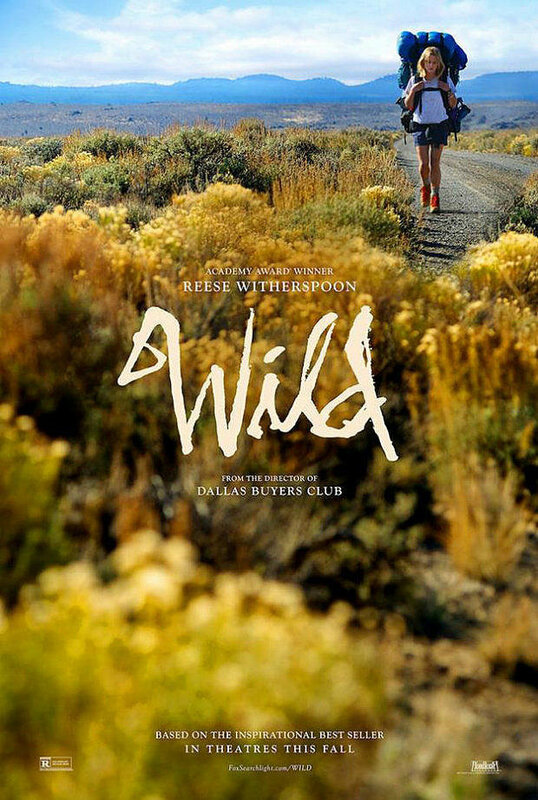 “Wild’ is based on a novel by Cheryl Strayed. It is the true story of Cheryl Strayed, who hikes the long and treacherous Pacific Crest Trail (which goes all the way from Mexico to Canada) to cope with the death of her mother. It is a wonderful and emotional story of a woman on a quest for self-discovery. I highly recommend this movie! Wild gave me some much-needed motivation to get back on track with blogging.I know I have to plow through this block. I have to put a ring on it and make a conscious effort to make time to read and to write. I’m sure all bloggers go through phases like this. Do tell, how do you get your mojo back? I’m looking forward to hearing from you! 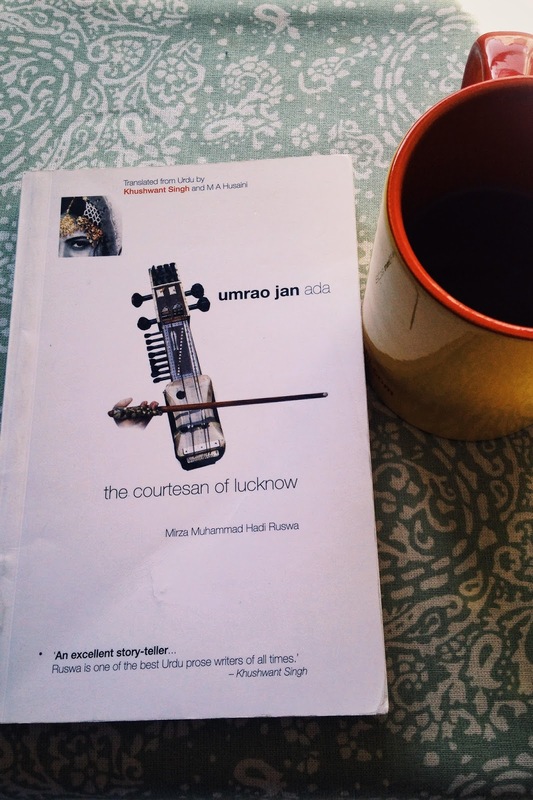 Umrao Jan Ada – The Courtesan of Lucknow. This story was originally published in Urdu in 1899. Umrao Jaan is the tragic story of a young girl from a modest family who is kidnapped and sold to a kotha in Lucknow. Umrao Jaan, although a courtesan, is also known to have been a great poet and an Urdu scholar. Bollywood has paid a couple of tributes to Umrao Jaan and although I know the story, it will be nice to read the (translated) work of Mirza Hadi Ruswa and explore the social dynamics of a Lucknow 100 years ago. 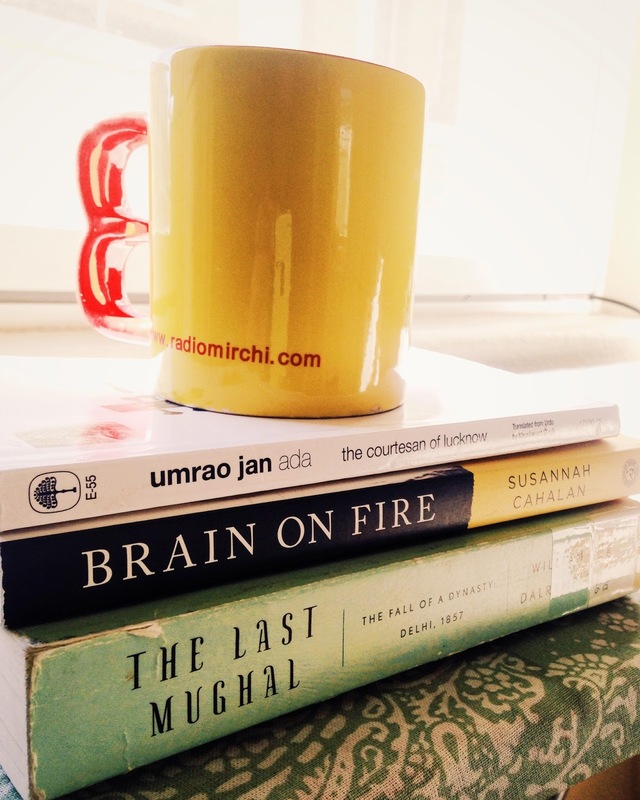 Mughal History – it seems like I cannot get enough of it. This book was recommended by a very talented fellow blogger – Deepak, who blogs here. This book brings me almost full circle on Mughal history. Having read quite a lot about the Mughal reign in India, right from Babar to Shahjahan, this book takes me further- to the last Mughal – Bahadur Shah Zafar, who was crowned when British power in India was on a steady rise and Mughal power was on the decline. 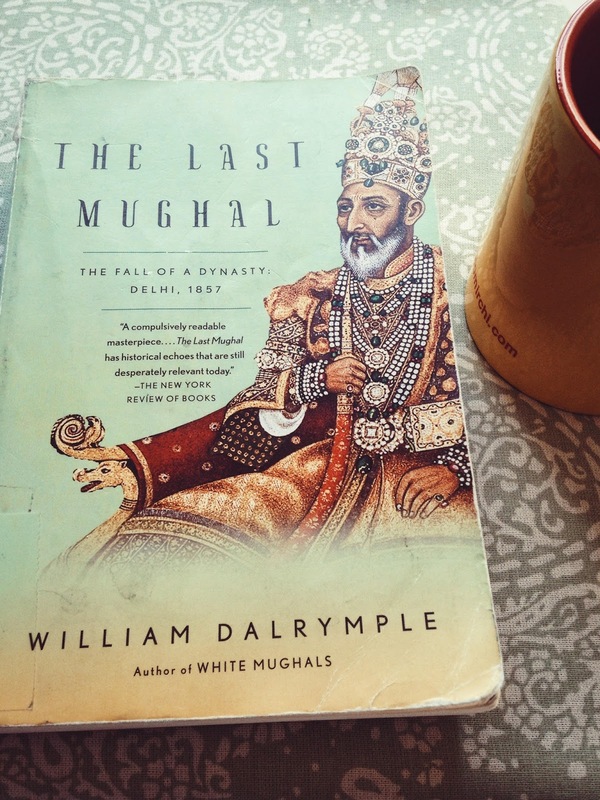 William Dalrymple also happens to be one of my favorite authors. I loved his ‘City of Djinns’, so this is a treat! 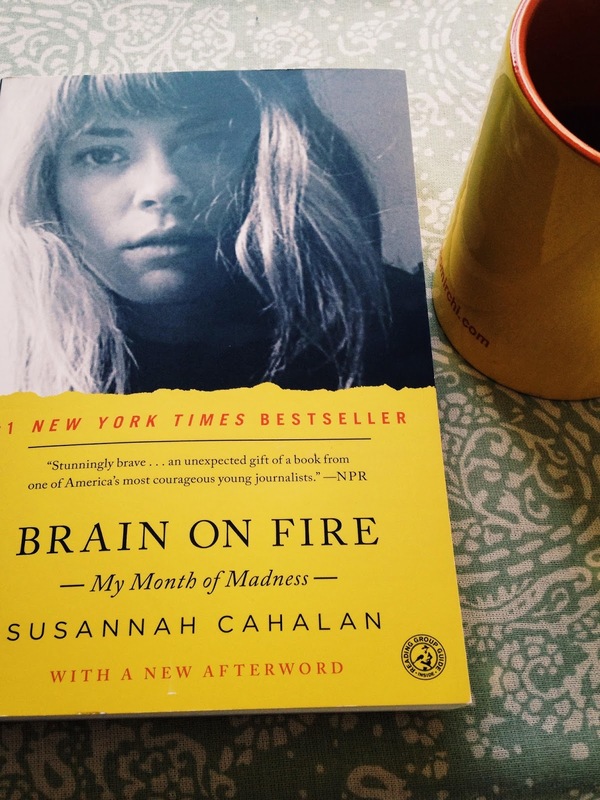 Brain on Fire – My month of madness is author Susannah Cahalan’s true story. She has a sudden seizure one night and shortly afterwards she is hospitalized for paranoia, hallucinations and insomnia. She is diagnosed as having a rare disease where her brain is attacked by her own body. I have always been intrigued by the workings of our brain. I’ve been through severe post-partum depression myself and anxiety and depression still continue to to pay me friendly visits at times. So I’m looking forward to reading this and hopefully understanding a little more about how to cope when our brain acts up. 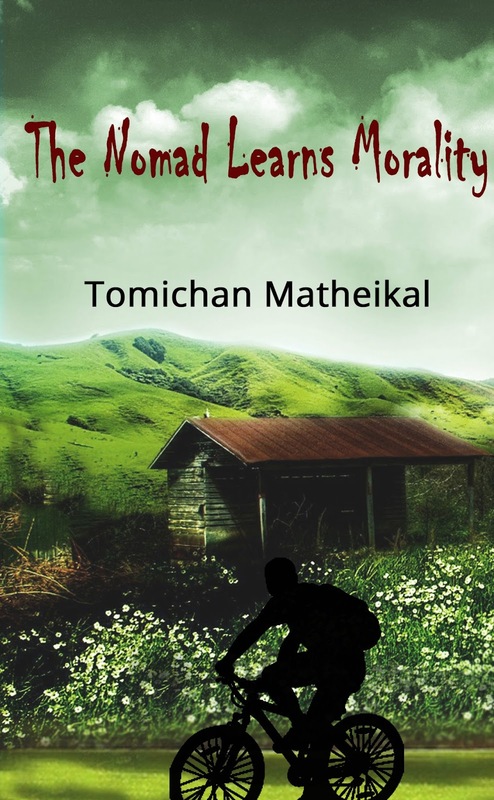 The Nomad Learns Morality by Tomichan Matheikal. This book is a collection of short stories which question what really is “right” or “wrong” as we know these terms. These stories take from mythology – from the Ramayana and some fiction to throw light on moral dilemmas faced by mankind since time immemorial. Why I’m really excited about this book is because I’ve been following this author for a while now and I am a fan of his writing style. Mr. Matheikal is a prolific writer and he blogs here. So that’s it for the ‘to-read’ list. I’m hoping to review some of these books soon.I’d really welcome book recommendations from you. So if you’ve come across a great book, pass it on! I'm sorry to hear that you have visits from the black dog, you're right of course, knowledge helps deal with these things. I'm certain that reading and blogging do too. I just recently read your Dalrymple and thoroughly enjoyed it, he really brings the era to life with his immediacy and plotting skills, I forget sometimes that I'm reading "history". Keep finding your "me" time. I'm thrilled, Hema. It's an honour to be featured in this way. Thank you. My pleasure! I've read two stories so far and it's brilliant! Looking forward to the rest. Shweta, I'm so glad you liked how the post flowed. That has always been one of my challenges while writing. So, thank you! I am not much of a book person, but my motivation is to write about my travels and connect with awesome writers. I will look out for the 'Wild' move though, I love True-story based ones! Well, to each his own, Alok. Thanks for stopping by! I call the process of finding inspiration in surprising places "filling the week." Lately it's been coming from books and long walks in my neighborhood. Walking and books work for me too! I've realized that the key is to not look for inspiration (that's trying too hard), instead just wait for it to find you. These look like fascinating reads, and well outside my usual fare. I'm noting down the titles, thanks for sharing! Thank you, Jennifer! I hope you enjoy reading them. I'm reading 'Brain on Fire' right now and I cannot put it down! Thanks so much for commenting. I hope you'll revisit soon!